Nightstands and end tables both complement decor and add function to rooms, though their names hint at one important difference. The easiest way to distinguish a nightstand from an end table lies in its location. Nightstands are typically found in the bedroom, a table next to the bed, flanking the head of the bed, or as a standalone piece beside a twin bed. These bedside companions are great for storing night-time essentials such as glasses cases, clocks and lamps. 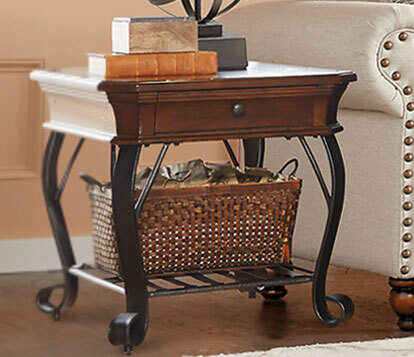 End tables sit next to sofas and other seating pieces in living rooms, dens and family rooms. They are convenient for setting down a drink or keeping the remote control close by. If we take away the name and surrounding room, the two pieces actually have a lot in common and could be used interchangeably if their designs are simple and versatile. Nightstands and end tables typically have comparable dimensions. The standard height for both is about 25 inches. Each are available in differing widths, however chairside tables (the end table’s close cousin) tend have more narrow proportions allowing them to squeeze into tight spaces. Although there is a wide variation in depths from piece to piece, nightstand generally tend to be less deep than end tables. 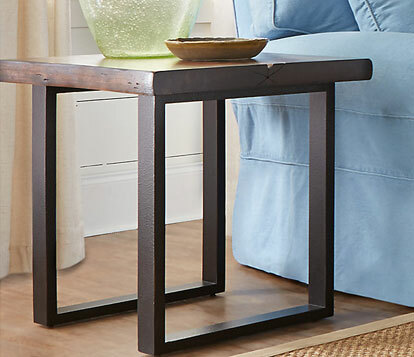 Most end tables and nightstands have a smooth, flat surface used to hold various items and both tend to be ideally situated for adding lighting to a room. Either of these tables frequently features at least one drawer for storage. 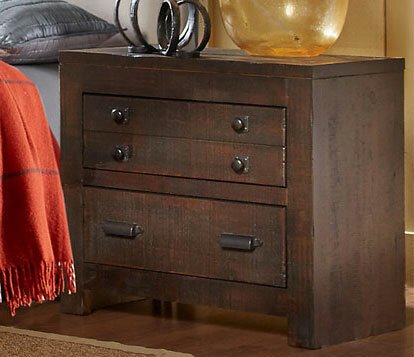 Though end tables are more likely to have an open base, there are many with storage options. 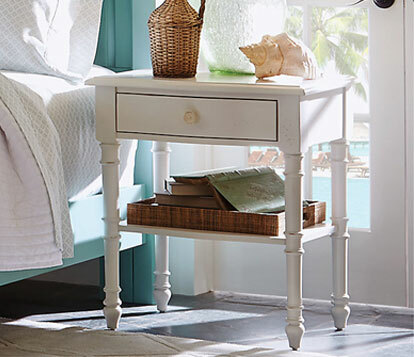 And while nightstands typically offer two drawers for storage, some have just one drawer with an open base; alternately night tables and bedside tables offer open designs. When shopping for a nightstand or end table, think more about the space and your desired style than the way the product is labelled. Get creative with your shopping and scour both bedroom and living room displays to find the perfect side table. An end table may make a perfectly good nightstand if it fits into your bedroom decor, while a piece marketed as a nightstand may look great in the living room with no one the wiser.